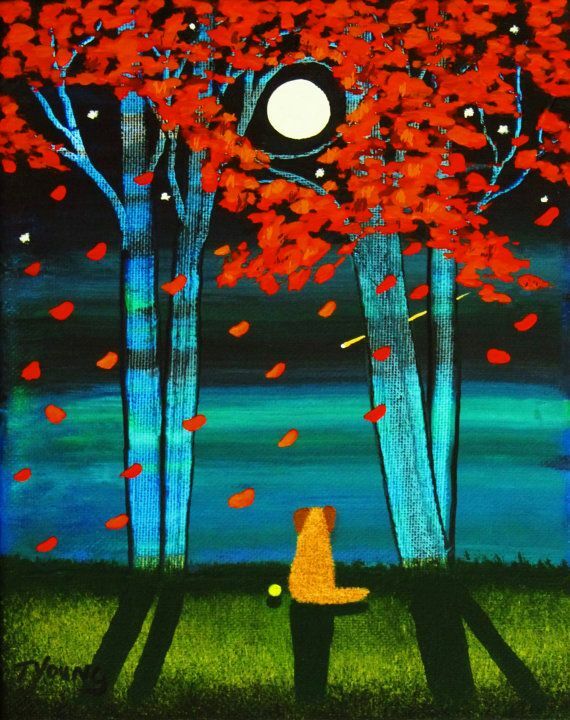 Today I’m sharing some paintings of artist Todd Young. 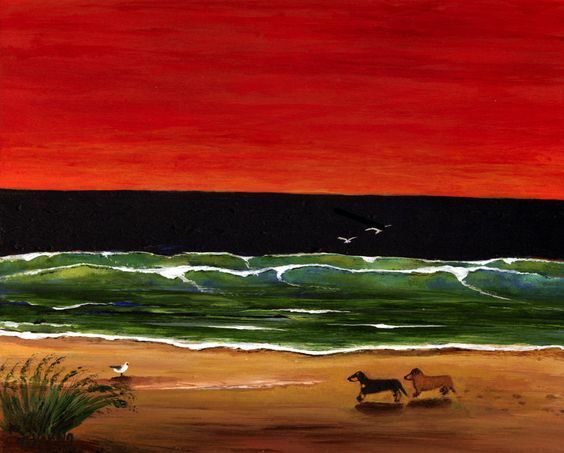 He is a self taught artist who lives in Indiana, U.S.A. His artwork has sold worldwide. 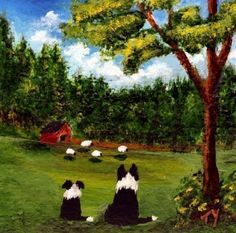 Todd has several paintings with dogs which I think are pawsome. 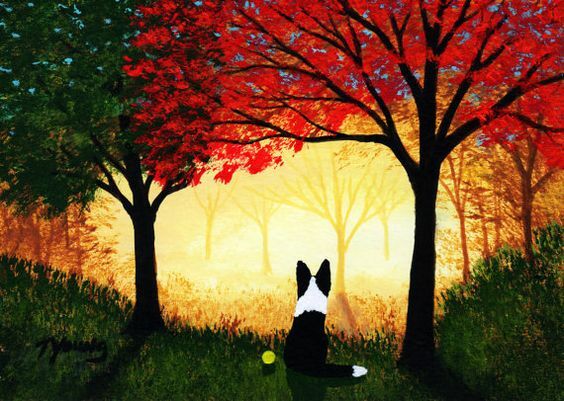 These rich yet simplistic painting invites the viewer to explore each good dog’s experience of adventure & tranquility. 3 bum swings! 3 more! 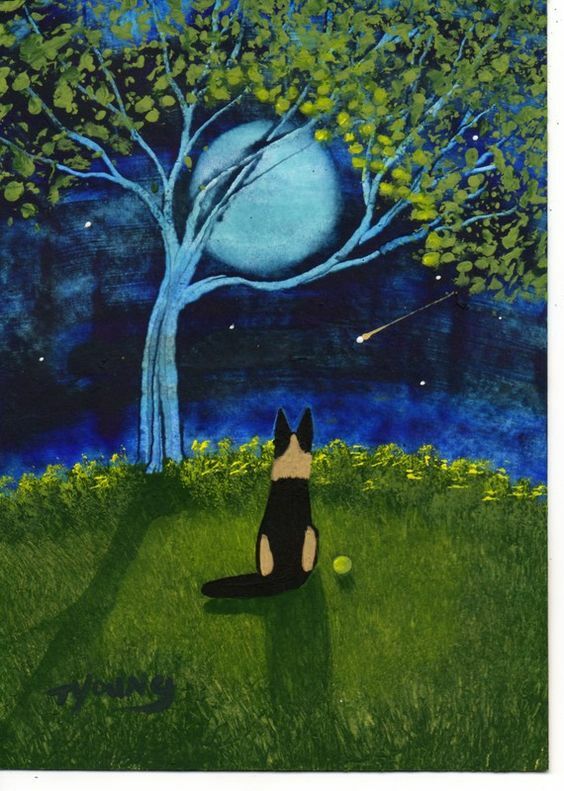 Hey Todd I just purchased the black and yellow lab starry night print. My daughter has painted the starry night herself and we have a black and yellow lab. Funny side note is that my wife is from LaGrange IN. Have a Merry Christmas. Sorry we can’t get your pawsome message to Todd but I’m sure he would think that it is wagnificient!